Manchester City are the reigning champions of the English Premier League, and it comes as no surprise that their gaffer is Pep Guardiola, a man who has conquered leagues in both Spain and Germany. There is little doubting Pep’s ability to create squads who win titles while also playing beautiful football, he ushered Barcelona into one of the most dominant era in their history playing the most beautiful brand of football widely known as tiki taka, winning the Spanish league title and conquering Europe at the same time. His second managerial job at Bayern Munich also brought along with it three domestic titles but Champions League glory was something that evaded him in Germany. When Pep moved to England, the naysayers were emphasising how physical the English league is, and how it would be almost impossible for him to translate the same brand of football he orchestrated at Barcelona and Bayern Munich into the Manchester City playing style. It took him until his second season to start winning titles while Manchester City played some of the best football English football fans had ever witnessed on their soil. However, the first season ended without a silverware, largely due to Antonio Conte’s Chelsea and their spectacular league title winning campaign. The 2017/2018 season has been and gone, Pep Guardiola’s Manchester City side broke a host of records, playing possession football and winning the Premier League easily in the process. The 2018/2019 season will pose a new challenge as certain clubs such as Arsenal and Chelsea have new managers, Jose Mourinho’s Manchester United and Jurgen Klopp’s Liverpool should also pose a serious challenge to City’s dominance and quest for back to back titles. 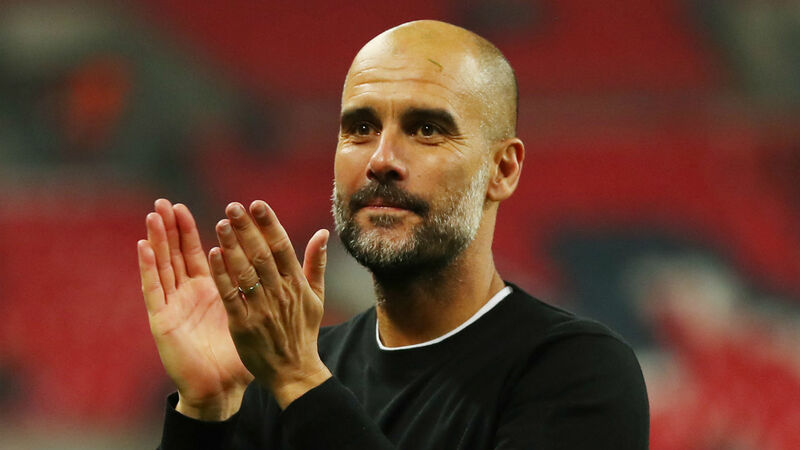 Perhaps, Pep won’t see the domestic league title as his priority this season, considering the fact that he has not had his hands on the Champions League trophy for over seven years now, something he will be desperate to fix especially as his City side were embarrassingly ousted from the quarter finals of the competition by the eventual beaten finalists Liverpool. There could also be growing pressure from the wealthy Arab owners of the club for him to bring club football’s most coveted prize to The Etihad this time around. Whether or not Pep could go on to conquer on both fronts remains to be seen, but we can all expect his Manchester City side to give us another scintillating season of attacking football this season.